The workshop begins with a range of technical exercises and finishes with students completing a small Still-life painting. Students will practice a number of essential watercolour techniques, with an emphasis on controlling the water and mixing and blending colours. 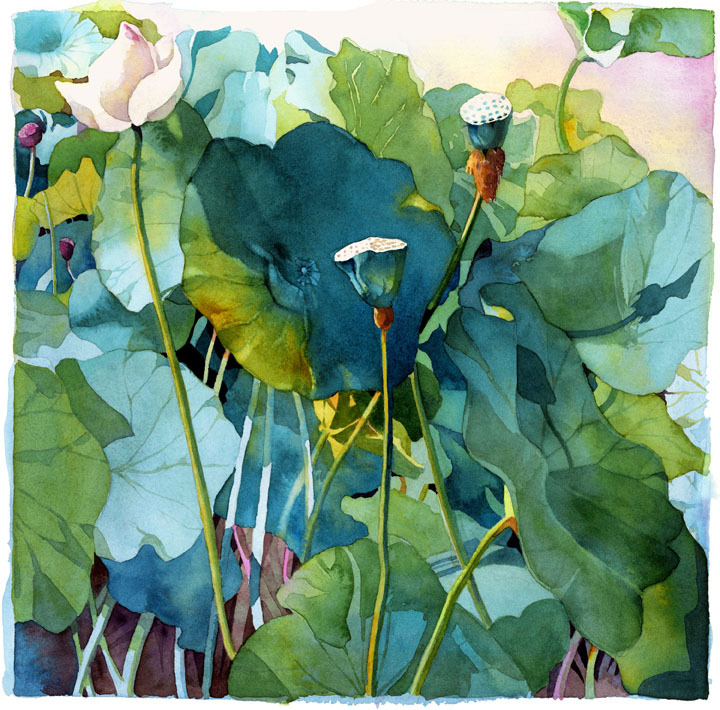 Students will learn about the difference between papers and pigments, and gain some tips about how best to design and approach a finished watercolour painting. This workshop is suitable for beginners as well as those more experienced artists. Subject matter – Floral, leafy and organic shapes. Students are welcome to bring other previously owned or preferred colours. Handy additions might include: pthalo turquoise/green, magenta, Prussian blue. Tutor recommends Windsor and Newton brand, Schminke, Daniel Smith (or equivalent quality). Student quality watercolour paints are cheaper, but are made with inks and synthetic dyes, not pigments, and therefore they don’t last as long and the colour quality is not as good. Starting set: synthetic quality cheaper watercolour brushes are fine, approx sizes 4, 8, and 12. Large deep pan watercolour palettes are preferred. 1x small pad (A4 size) of 300gsm watercolour paper: recommended brands are anything except Reeves.